Now that the Hall Tree is done I could start working on the kid’s table again. I stained it on Saturday to match the Hall Tree since they will be in the same area. The stain came out a little blotchy in some areas. 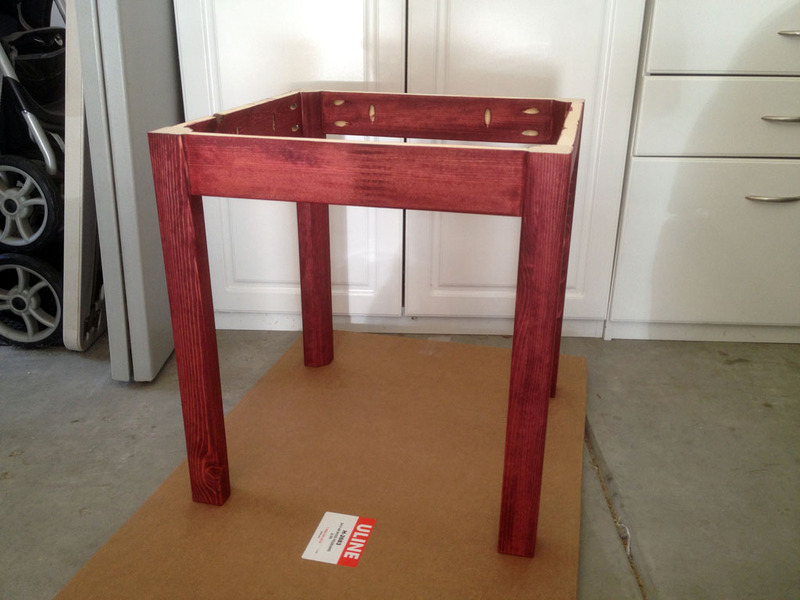 The directions on the stain say that it does not need any conditioner applied first and I had great results with all my tests on the Hall Tree. I bought the wood for the hall tree at Home Depot and the wood for the table was purchased at Lowes. 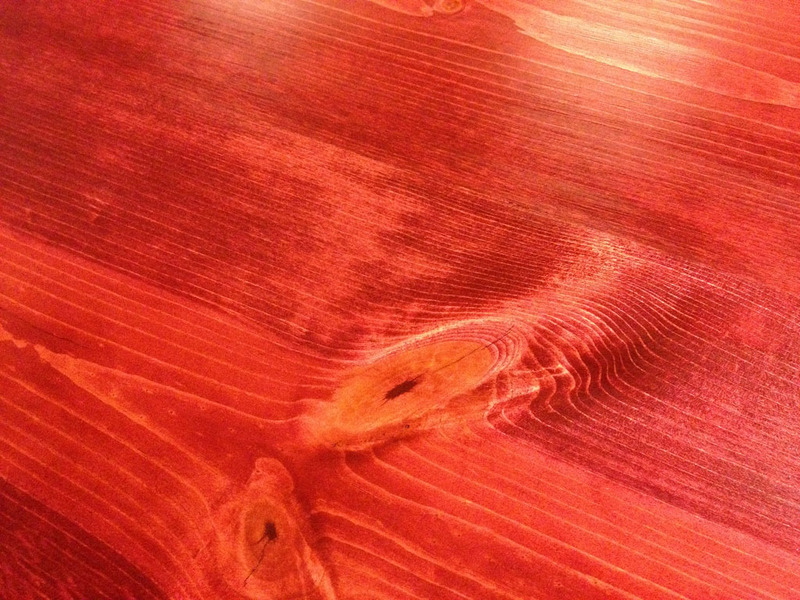 I also sanded the table a couple of weeks ago. I’m thinking that I should have re-sanded it the same day to open the pores a little more. 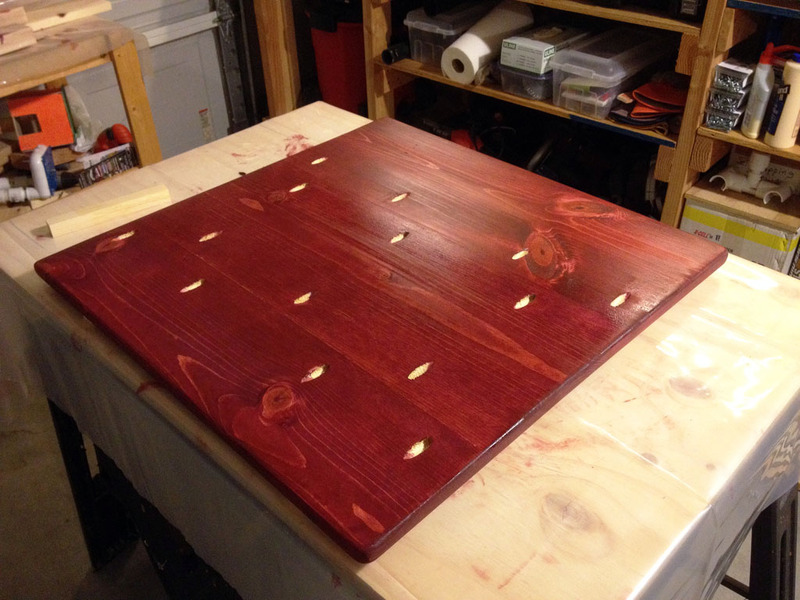 I also should have found some scraps from the Lowes wood to test the stain on. 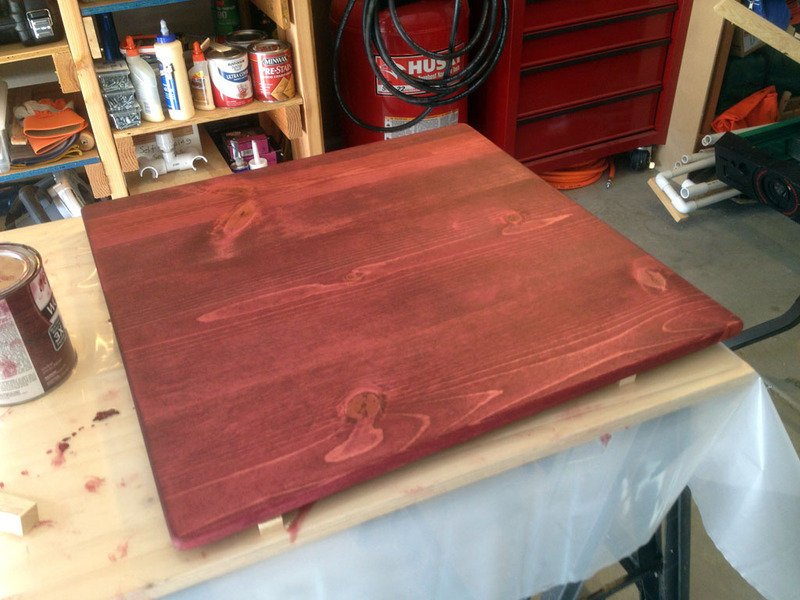 I put one coat of poly on the bottom on the tabletop, let it dry for an hour, and then flipped it over and put a coat on the top. I am going to give it a light sanding tonight and then apply another coat on both sides. 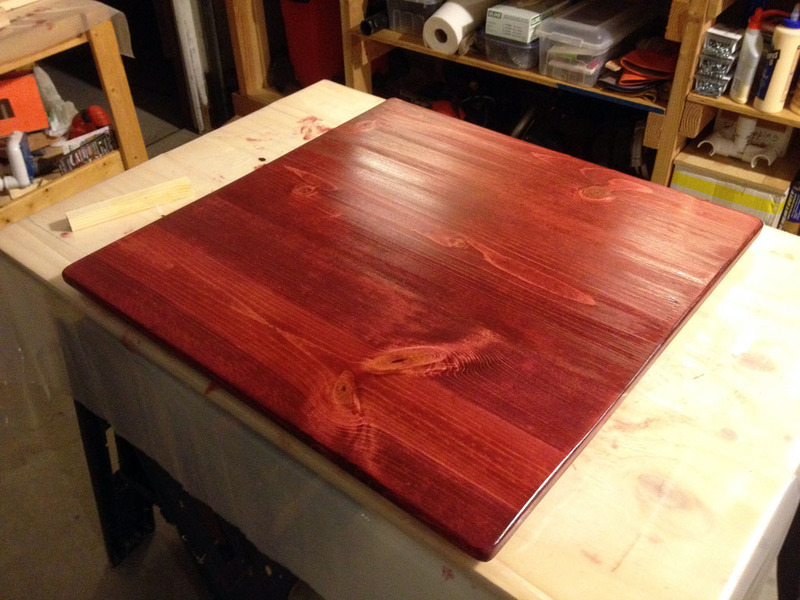 My goal is to have 2 coats on the bottom of the tabletop and the legs and frame and then 5 coats on the tabletop itself. On a side note it’s still pretty neat to see the color pop when you add the poly. The hall tree is done!